GORDONIA PRIVATE HOTEL "And the spirit of man will adhere to the spirit of creation, and they will become one living soul." (A.D. Gordon) From Gordonia, every sunset looks like it was painted just for you. The hills of Jerusalem and the trails of history are spread out at your feet and the world is awash in colors so bright, it's like nothing you've seen before. Hospitality at every luxurious villa is customized to meet your personal preferences. We strive to get to know you personally from the very first interaction, so that we can ensure an enchanting private hospitality experience created just for you. 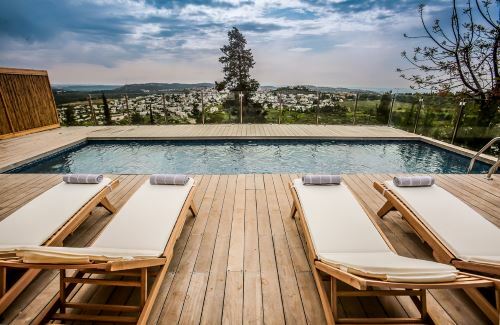 Spectacular views over high trees and the hills of Jerusalem can be enjoyed alongside a clear, refreshing private outdoor pool, personal concierge, and dedicated chef, ensuring unending tranquility. With private space to breathe in the intoxicating aroma of crisp mountain air, this is a vacation for those who hold the highest standards. 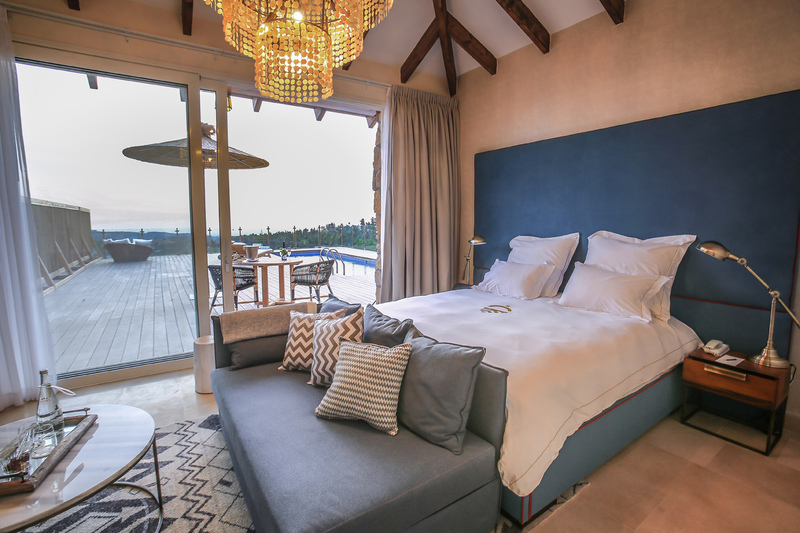 Junior Suite With Shared Pool and Mountain ViewLuxurious suites designed for couples, with a private heated pool for every two suites. 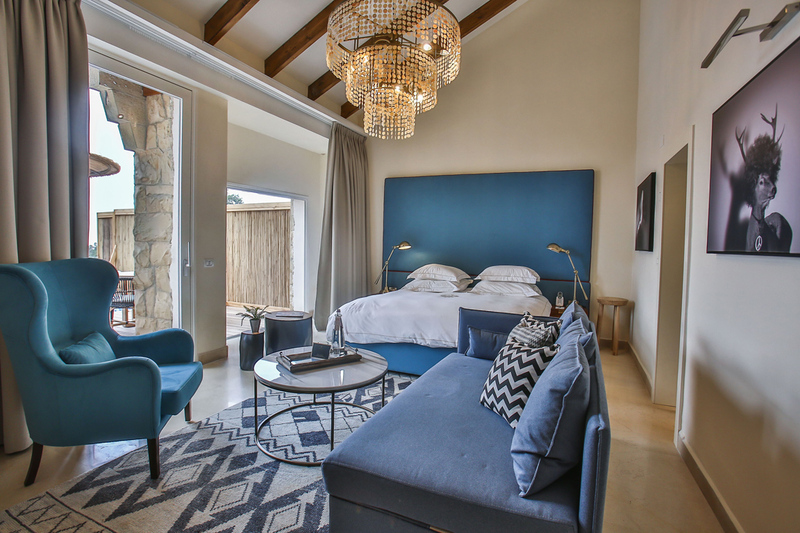 The suites are spacious and pampering, face the breathtaking landscape of the Jerusalem Hills and reflect guests' personal tastes. PREMIUM SUITE WITH PRIVATE POOL AND MOUNTAIN VIEWThe pinnacle of pleasure. The suites are royally spacious (60 sq. meter) and can accommodate three guests. 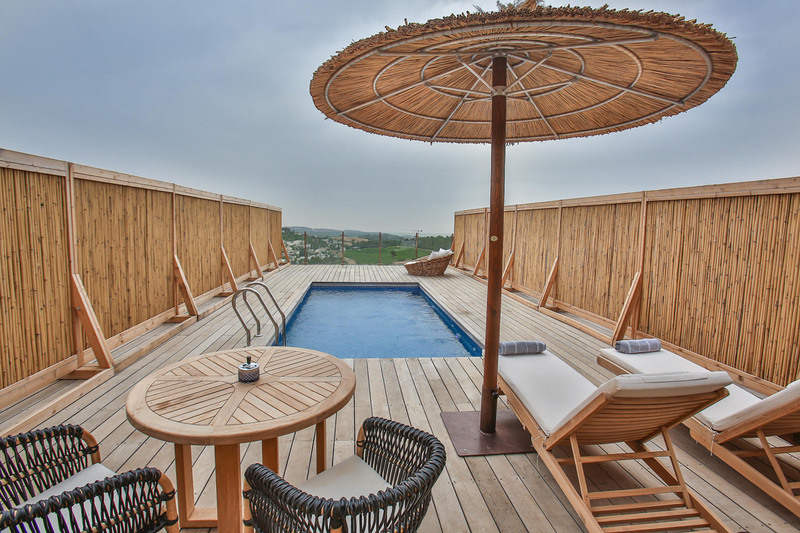 Each faces the breathtaking landscape of the Jerusalem Hills and comes with its own private swimming pool (15 sq. meter) located on a 50 sq. meter Deck. The Premium Luxurious suites are Classically designed including a dining area. In the Suite you can find: Free WiFi, 55 " LCD Flat screen TV, Cable TV (Yes), Mini Bar and Wine cooler, Expresso Machine, Professional Hairdryer, King Size bed (Double Only), Ironing Board, Safe Deposit Box, Music Player, IPad Menu with all the Hotel Facilities information. The pinnacle of pleasure. The suites are royally spacious (60 sq. meter) and can accommodate three guests. Each faces the breathtaking landscape of the Jerusalem Hills and comes with its own private swimming pool (15 sq. meter) located on a 50 sq. meter Deck. The Premium Luxurious suites are Classically designed including a dining area. In the Suite you can find: Free WiFi, 55 " LCD Flat screen TV, Cable TV (Yes), Mini Bar and Wine cooler, Expresso Machine, Professional Hairdryer, King Size bed (Double Only), Ironing Board, Safe Deposit Box, Music Player, IPad Menu with all the Hotel Facilities information. 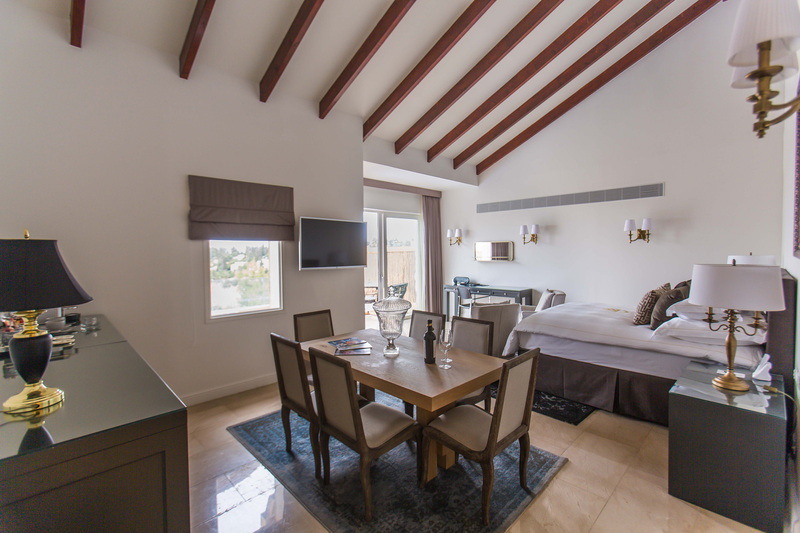 JUNIOR SUITE WITH PRIVATE POOL AND GARDEN VIEWLuxurious suites modernly designed with a Private heated pool(15 sq. meter ) located on a 50 sq. meter Deck. The 35 meter suites are spacious and pampering, facing the beautiful Gordonia Garden. In the Suite you can find: Free WiFi, 55 " LCD Flat screen TV, Cable TV (Yes), Mini Bar and Wine cooler, Expresso Machine, Professional Hairdryer, King Size bed (Double Only), Ironing Board, Safe Deposit Box, Music Player, IPad Menu with all the Hotel Facilities information. Luxurious suites modernly designed with a Private heated pool(15 sq. meter ) located on a 50 sq. meter Deck. The 35 meter suites are spacious and pampering, facing the beautiful Gordonia Garden. In the Suite you can find: Free WiFi, 55 " LCD Flat screen TV, Cable TV (Yes), Mini Bar and Wine cooler, Expresso Machine, Professional Hairdryer, King Size bed (Double Only), Ironing Board, Safe Deposit Box, Music Player, IPad Menu with all the Hotel Facilities information.